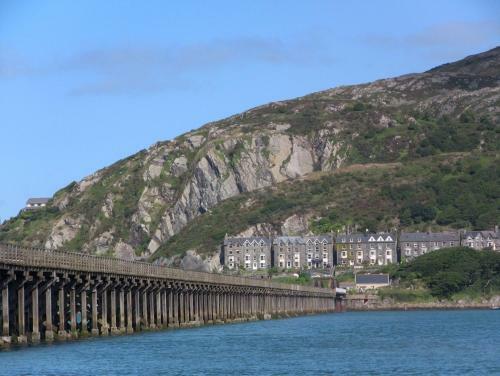 A foreshortened view of Cadair Idris from the railway bridge at Barmouth. Cadair Idris is made up of several peaks including Mynydd Moel, Cyfrwy, and Craig Cwm Amarch, its summit is known as Penygadair. The mountain is accessible by three main routes but the easiest and most popular is the Pony Path that begins close to Dolgellau or from the banks of the Mawddach River near Penmaenpool.